Prior to launching into her consulting practice, Abby built a 20 year career as a successful HR leader and management consultant. As the Senior Vice President of Human Resources at TriZetto Corporation, a healthcare technology company with 4000 employees world-wide, Abby ran the global human resources function where she established a strategic human capital plan with a “talent first” agenda for the company. Abby also served as the Vice President of Talent Management for Newmont Mining Corporation, a large gold company with a diverse global workforce of 30,000 people and significant operations on five continents. She spent 10 years at Newmont where she led the transformation of the talent and human capital strategy for the company. Abby has spent the majority of her career implementing large-scale human capital and cultural change for Fortune 500 companies. She’s adept at working with boards and management on their toughest business challenges. Prior to joining Newmont, she spent 8 years as a human performance consultant with Accenture, a global management consulting company, where she partnered with numerous clients to implement business transformation initiatives. Prior to Accenture, Abby worked in the global leadership and organizational development group in the corporate offices of Target. 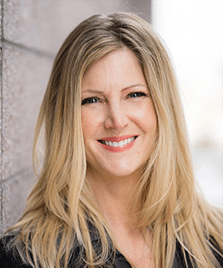 Abby has a business-first, quick-witted, straightforward style that enables her to work effectively with top-level executives, provide insights on complex leadership challenges, and quickly hone in on critical issues. With her experience working as a senior-level executive, deep competence ranging from global strategy to human behavior, and her success as a business consultant with Accenture, Abby provides substantial value to the clients she works with.